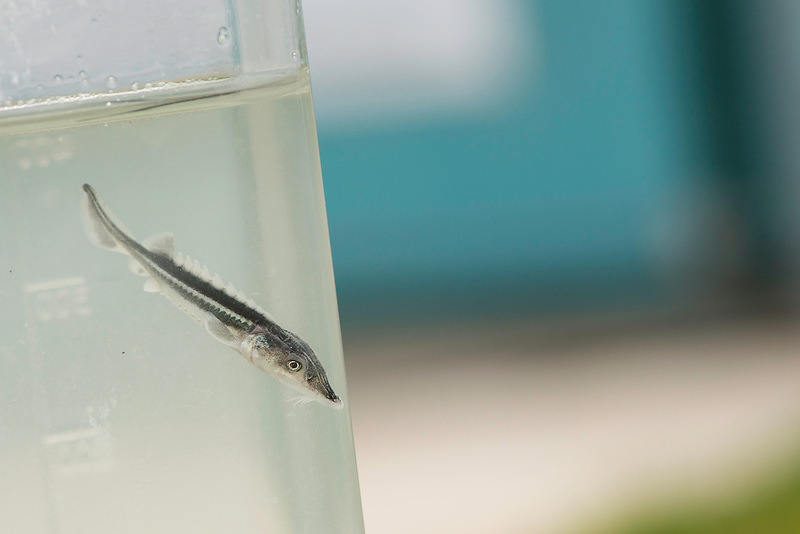 Starry sturgeons, Acipenser stellatus, just a few weeks old resembling an adult but just a couple of centimeters long. The starry sturgeon is considered critically endangered by the IUCN and international trade in this species (including its caviar) is restricted by CITES. This farm Kavoar House is located outside Horia village, close to Danube Delta, Romania.